How is BlockChain changing the landscape of Intellectual Property Rights and how can UX/UI Designers/Startups benefit from it? From Amazon’s One-click Purchase, Google’s Nest Home Digital Thermostat Swipe to Apple’s Multi-touch, many of our everyday interactions with digital designs today are the creations of User Experience (UX) Designers. However, most UX designers are not aware that their design/creations are intellectual properties (IP) that have monetary value. Such unique UX designs can be patented and is the reason why corporates acquires companies (like Google bought Nest and Motorola for their IP), as well as why investors decide to invest in a Startup that owns design/tech patents. This talk is to make aware UX Designers their role in creating patent value as well as educate Startups/ Corporations and even IP lawyers of an emerging category of design patents in User Experience/User Interface (UX/UI). 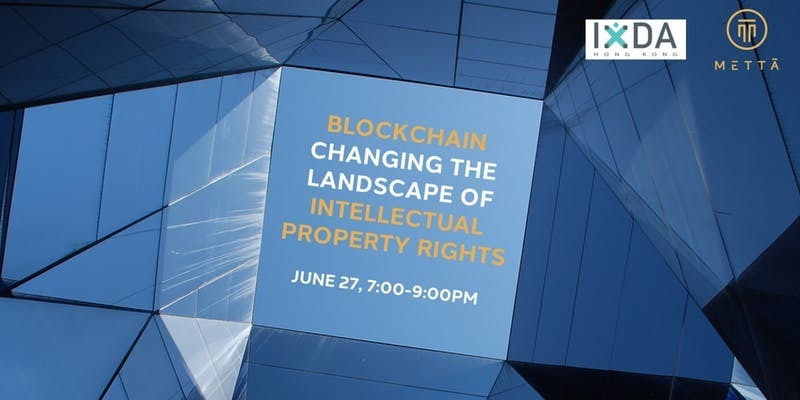 In addition, the talk will be discussing about how new technologies like Blockchain is affecting intellectual property ownership. With decentralisation, the power is shifting to benefiting more of the creators of intellectual properties, which is happening in other creative industries such as musicians, photographers, artists etc. as well. For the month of June, we at IxDAHK are delighted to let you know we have invited Gabriela Kennedy, Partner of Mayer Brown JSM and Head of the Asia IP and TMT group to speak to us about the changing landscape of technologies and the emerging IP issues involving them as well as the effect of these developments on the protection of IP rights. Gabriela is a prominent Tech/ IP lawyer in Asia who has been advising many start-ups in the past 20 years including Alibaba when the company had only 18 employees. Gabriela is based in Hong Kong, practising intellectual property, media, information technology and telecommunications law. Don’t miss this event to learn about the latest in UX/UI intellectual property and how Blockchain will affect your business and career!